In the background of the classic series console room is now a coat-stand with the Season 18 scarf hanging from it. 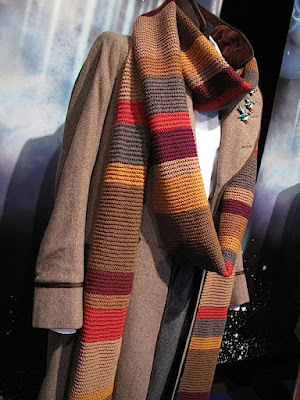 I don’t mean to be picky, but the scarf is a bit anachronistic, since the console on display didn’t appear first until season 20 for the anniversary story, The Five Doctors, so Tom never was seen on this set. Either way it is a welcome addition to the exhibition. That coat is the best coat ever. In fairness, The colors for the original scarf at the experience were completely wrong. And the new scarf still doesn't have the exact screen used colors. The green is too brown, and the beige is too close to the brown. The new scarf was most likely knit by a fan using Chris Brimlow's colors that mach the scarf in its modern, faded state. But still, it looks much better than the first scarf they had. 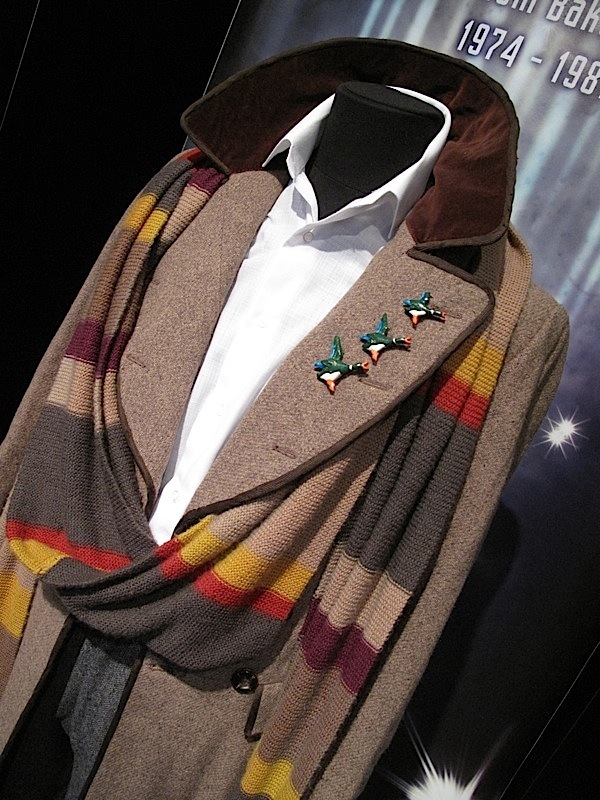 I wonder if the season 18 was fan-knit too, or if it is one of the screen used scarves.